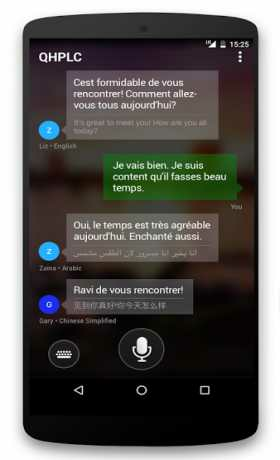 Microsoft Translator is an app that will help you speak into your Android device in your native language and a see the translation. Microsoft Translator helps you break the language barrier wherever you’re traveling or have a need to translate anything in your daily life. Quickly translate phrases on your Android-powered watch, or use the companion Android phone app when it’s more convenient. • On your watch: Speak to your watch and get instant translations in 50 languages. • Noisy environment? Just show someone your watch or phone. In addition, on the phone, large full-screen translation cards make it easy to show others what you’re trying to communicate. • Bookmark your translations for later use. • All your translations and settings are synchronized between your watch and your phone. 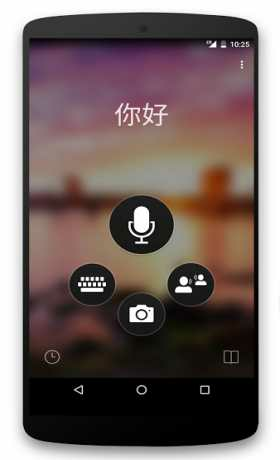 • On the phone companion app: in addition to speech translations you can type on your keyboard (really useful for noisy places! ), and copy & paste text and translations from and to other apps. 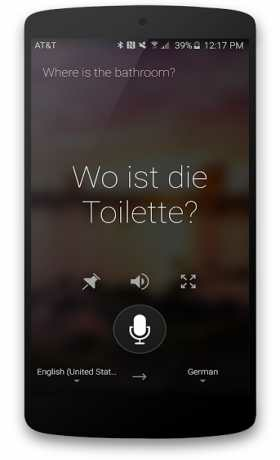 Microsoft Translator supports over 50 languages including Spanish, Chinese, German, Italian, French, Dutch and Korean. To find the complete list of languages, visit the Microsoft Translator FAQ.